Family Owned and Operated Since 1979! 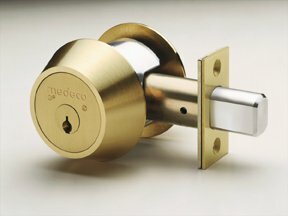 We offer a wide variety of locks, including Kwikset, Schlage, Medeco and other popular brands. Sick of fussing with a messy key ring? Try a hands-free lock on your front door! Below are just some of our push button locks. Stop in at our shop to find out more! We also repair and replace automotive locks, both foreign and domestic!